Sanmina produces a broad range of laboratory and point of use blood diagnostics, molecular diagnostics, blood separation and handling equipment. We have expertise with mechanical design, fluidics and complex functional testing of diagnostics equipment. Sanmina’s expertise includes full system build and image testing of Ultrasound systems, CT, MR, Nuclear Medicine and X Ray systems and subassemblies. We provide design services for key subassemblies and electronics. Sanmina produces a number of different patient monitoring products, along with products for RF and other therapeutic applications. 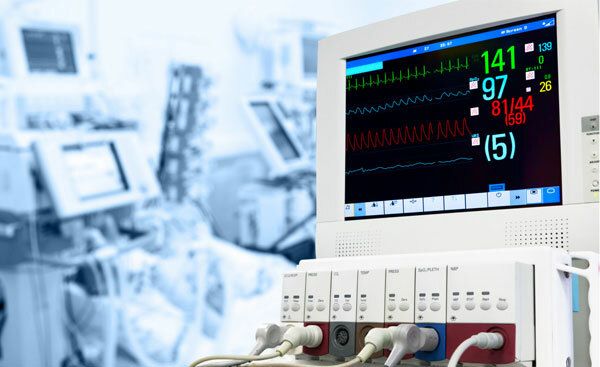 We have designed a number of RF generators for therapy, along with user interfaces for various products. For over 20 years, Sanmina has been producing high volume consumer medical and disposable medical devices, with production of some devices in the millions of units per year. 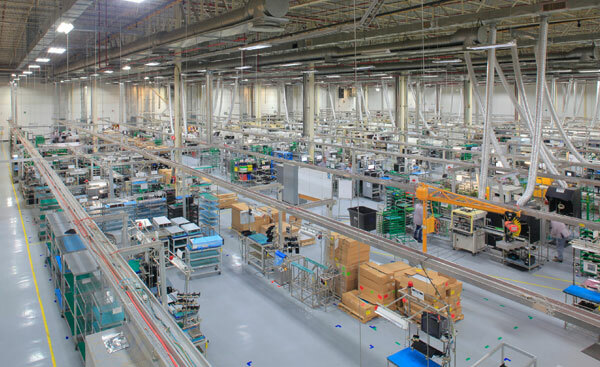 Sanmina operates several “no-touch” fully automated assembly lines for some of these products. Sanmina has two medical design centers, each with a 13485-2003 design registration. 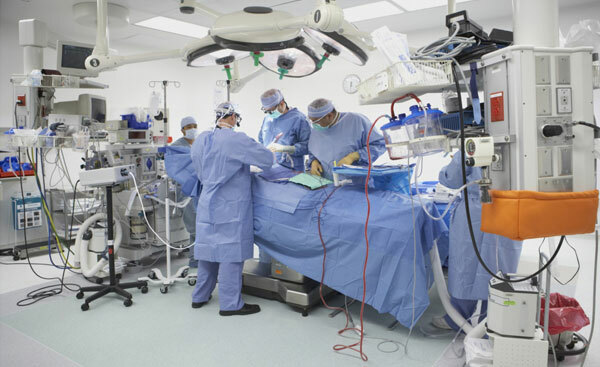 We have designed many medical products turnkey, and completed many joint design engagements for complex electronic, mechanical and optical subsystems. For ten years, Sanmina has developed and operated several “no-touch” fully automated production lines for high volume medical products and medical devices. Sanmina Medical has operated under its own FDA QRS (Quality System Regulation) Quality System for over 10 years. FDA and notified body audit results have been excellent. All plants operate using the same quality system and Part 11 compliant ERP/MRP system. Sanmina operates over 20 ISO 13485-2003 certified medical manufacturing facilities. Eight of these facilities are FDA registered. Sanmina has medical NPI (new product introduction) and manufacturing facilities in very major region worldwide. Sanmina Medical provides complete repair and refurbishment services for complex medical systems including blood diagnostics systems, CT scanners, X-Ray equipment and many others. Our repair and refurbishment facilities also provide services to manage component obsolescence. If you’re into developing products that shape the future of healthcare, welcome to Sanmina Medical. Collaborating with bold thinkers to build products that improve patient outcomes and quality of life is an important part of what we do at Sanmina Medical. 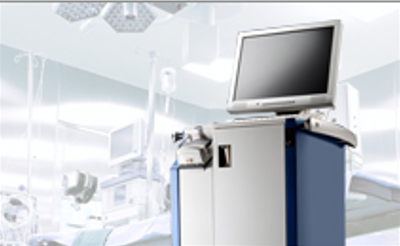 We design, build and service complete medical systems, equipment and products. Sanmina produces a broad range of laboratory and point of use blood diagnostics, molecular diagnostics, blood separation and handling equipment. 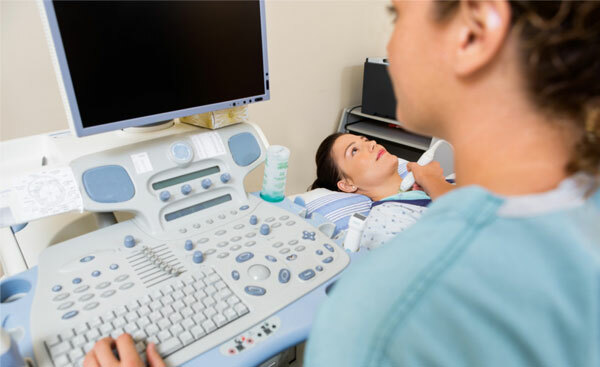 We design and manufacture ultrasound systems, CT, MR, nuclear medicine systems, X-Ray systems, patient monitors and medical devices. For over 20 years, Sanmina has been producing high volume consumer medical and disposable medical devices. 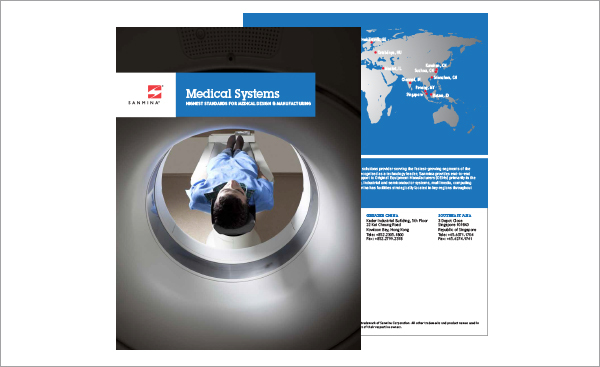 Sanmina operates 20 ISO 13485 certified medical design and manufacturing facilities. Eight of these facilities are FDA registered. We have medical NPI (new product introduction) and manufacturing facilities in every major region worldwide. Sanmina provides complete repair and refurbishment services for complex medical systems including blood diagnostics systems, CT scanners, X-Ray equipment and many others. We also provide services to manage component obsolescence.